* Notification alerts are sent to physicians when patient refuses pharmacological prophylaxis. * VTE intial assessment tool is available to order before the 4 hours after admission VTE alert fires. * Educating providers to accurately add all problems and diagnosis before completing VTE risk assessment tool. 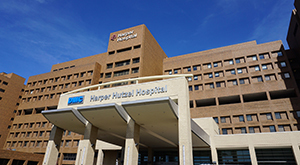 Harper University Hospital is one of the most technologically advanced hospitals in the nation with fully-implement Electronic Medical Records, 100 percent medication scanning and advanced robotic surgery technology. Located in Detroit, Harper has served patients from across the country and around the world for over 150 years. Established in 1863, Harper is among America’s oldest and most highly regarded teaching institutions. As part of the Wayne State School of Medicine, we’re staffed by leading medical experts and educators – many of whom rank among the top in the nation. These exceptional doctors are engaged in pioneering medical research and clinical trials, often giving patients access to innovative treatments and advanced diagnostic services before they are widely available. DMC Harper University Hospital has been recognized nationally as a Best Hospital for 2017-18 in Diabetes & Endocrinology, Neurology & Neurosurgery, Gastroenterology & GI Surgery and Nephrology by U.S. News & World Report. Harper also ranked fourth in Michigan overall and third in southeast Michigan.